Since late 2013, Lu Schaper has embarked upon a new dimension of her art: what she calls "wearable art". 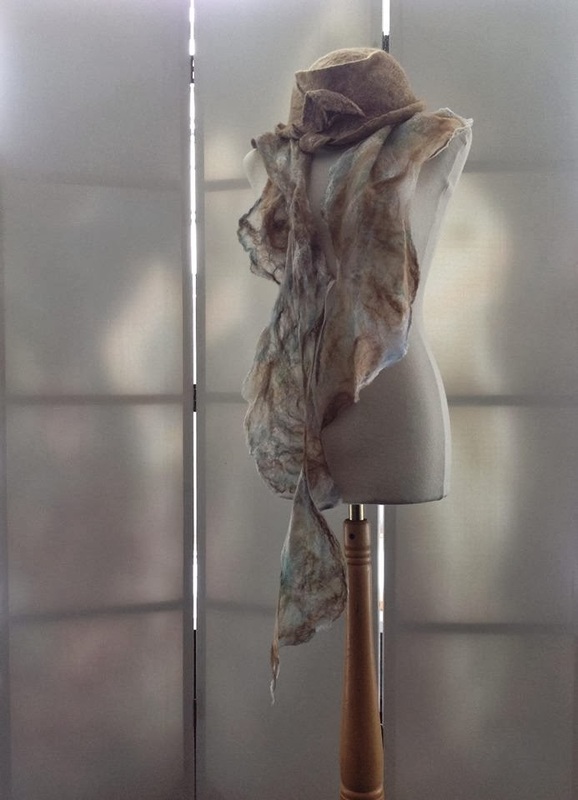 It is not her first venture into fashion, as the high-end fashion chain Shanghai Story is marketing about a dozen of silk and pashmina scarves with prints of her paintings, which she especially created for this purpose. 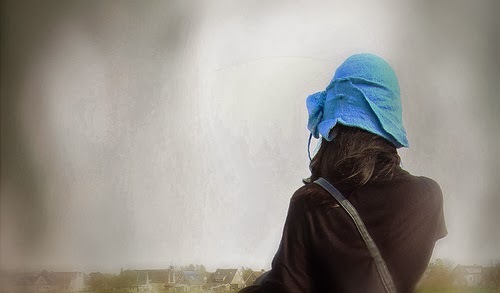 Her current work is much more personal though: each piece (hats, scarves) is designed and handcrafted by herself. She uses the ancient and still popular technique of felting. Felt is a non-woven textile that is produced by matting, condensing and pressing fibers together. 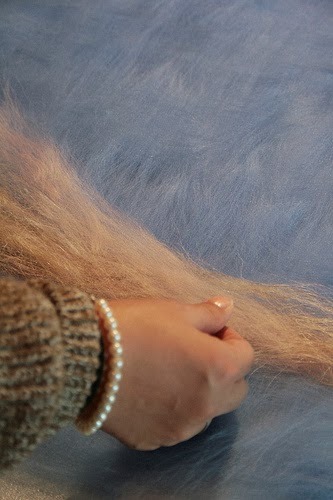 Lu uses high quality fibers, such as various blends of Merino wool, silk, and linen (typically purchased on-line from Atelier Indura or Wollknoll). Her art feeling comes into play in the specific colour combinations and patterns, and the shape of the final scarves and hats. For the latter, influences can be extremely varied: from old European hats, via Chinese fairy-tales to Art Deco style. We round of with a few photographs illustrating the procedures and results. At first she creates a combination of different fibers, playing with colour combinations and pattern shapes. 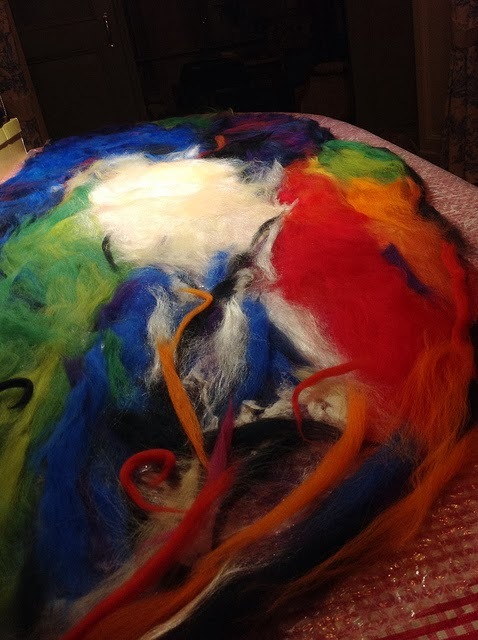 Combining different materials, such as Merino wool and linen, can lead to interesting results after felting. 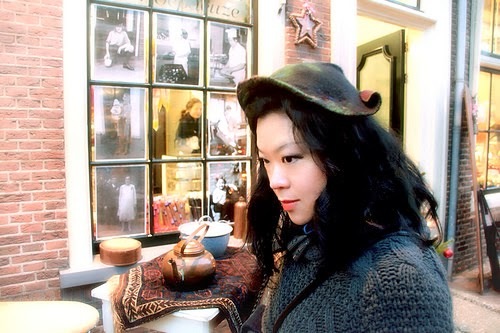 A hat inspired by Napoleonic times, as well as lotus leaves worn on the head in Chinese fairy-tales. 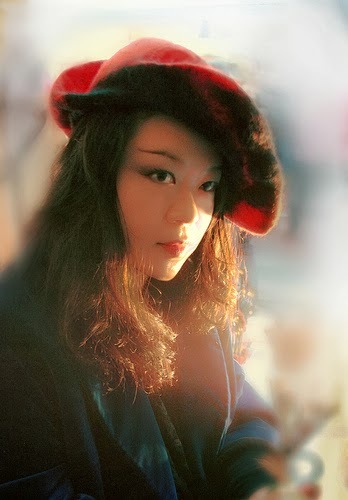 Lu with one of the first hats she created, a beautiful poppy symphony of red and black. Another hat creation, seen from the back. This one was inspired to some extent by Art Deco fashion.